Listen to this track by ’60s mod champions and British R&B purveyors The Small Faces. It’s “You Need Loving”, a belter of an R&B tune recorded in 1966, and featured on their self-titled debut record The Small Faces . The song was originally written a few years earlier for Muddy Waters to sing by Chess Records bassist, producer, and songwriting giant Willie Dixon, who christened it “You Need Love“. This version by the Small Faces had a tremendous influence on the upcoming hard rock scene by the end of the decade. It might actually sound very familiar to you as it inspired yet another song by a group of British R&B enthusiasts, who made that song into something of a signature number of their own – “Whole Lotta Love” by Led Zeppelin. The blues is a mysterious form, as we’ve seen. Like a lot of vibrant folk music, individual songs aren’t so much owned as they are passed along, and changed through performance and interpretation over the years and decades. But, as we’ve also seen, the modern publishing industry isn’t so mysterious when it comes to the issue of borrowing and adapting without leave. So, how did things unfold with this tune? The reason the London blues and R&B boom happened at all was the awe that those in London listening to American records had of the post-war Chicago blues scene, and even for the kind of rural blues created by Robert Johnson, Skip James, Son House, and many others. The songs that came out of these traditions were equal parts alien and transformative to the listeners. Yet, too, they struck an emotional core, which sparked a lot of original music, the ripples of which can be traced up until today. Many of the bands on the scene treated the source material as holy text, and didn’t stray too far outside of the original recorded versions. They were doing the best they could to entirely replicate them for live audiences. Therefore, the bands themselves didn’t stray too far out of the local scenes either. This is not true of the Small Faces, who took the material, and made it into something completely other. The band knew that they’d need to take the music, and make it their own somehow. They’d have to adapt it to suit their own sound in order to gain any momentum in putting themselves across as unique singers and players. This is just as blues musicians had done decades before them. Just listen to this track, particularly to lead singer Steve Marriott, who roars out the lustful lyrical salvo that is the beating heart of this song. It’s no wonder that Robert Plant, himself a Small Faces (and a Muddy Waters) fan, was so struck by the stylistic possibilities of what a British singer could do with an American blues song. That is certainly what the Small Faces were able to do well, even if they also put forward their own London watermark on their material, even here. So, when Led Zeppelin crafted their own song around Dixon’s original song, and with a great deal of influence from Marriott’s vocal performance, it could be argued that they were merely continuing with a process that had begun years before. British bands like the Small Faces had done it when electrified blues being made in ’50s and early ’60s Chicago provided a basis for the London R&B boom. And it had been the case even further back, when the bluesmen of old interpreted songs by way of aural tradition, changing lyrical details, and often adding in bits from other songs to make them entirely new. Of course, this traditional practice of borrowing and changing is a very, very arguable point when the subject turns to song royalties. In 1985, the case against Led Zeppelin by Willie Dixon was settled out of court. The similarities between Dixon’s “You Need Love”, and Zeppelin’s “Whole Lotta Love” were too striking. Willie Dixon had given a whole musical vocabulary to British invasion, and British hard rock bands. And if anyone deserved a payout from “Whole Lotta Love”, it was Dixon, a figure in musical history whose vast importance is not often recognized by a wider audience. His decision to take legal action was entirely justified in this modern context. As it is (possibly apocryphally) described, Marriott’s reaction to hearing Plant’s vocal on”Whole Lotta Love”, which clearly borrowed from The Small Faces, and from Marriott’s style, was a congenial: “Go on, my son!! !” Somehow, the Small Faces escaped any flack as far as legality was concerned, which may be why Marriott took such a bright view of Robert Plant’s interpretation. Or, perhaps he knew that he’d simply passed it on. For more information about the Small Faces, check out the official Small Faces site. Previous Article Rock Movies: Does the Song Remain The Same? It’s baffling that Dixon took so long to sue Led Zep & never took action against the Small Faces. 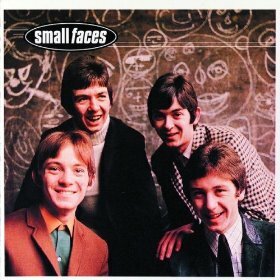 I originally thought that the Small Faces presented the song as a cover version. But, Marriott/Lane is the credit listed. I can only assume that they figured if they changed the title, threw in a couple of other references to other songs (like “Land of 1000 Dances”) and basically reinvented the presentation (which they’ve certainly done very well) that it would become their own. Of course, they were basically kids at the time and I’m sure didn’t grasp the vagaries of copyright law. I think the Page/Plant case came out because it was just a higher profile song, played endlessly on Classic Rock radio, where the Small Faces (very oddly, to my mind) didn’t enjoy that kind of attention. Led Zeppelin simply presented a bigger target. I don’t think that Marriott got off lightly in any case, even if he and the rest of the band escaped a suit. The trajectory of Marriott’s career, fraught with money problems the whole way along, would basically sideline him into a footnote for a wider audience. This is a tragedy too, given that I believe he was a pioneer when it came to being a rock vocalist. Rock singing, and in particular heavy metal singing, is what it is today because of his influence. He and Willie Dixon were cut from the same cloth in the end. Zep’s the bigger target, no question & Dixon was embroiled in his own battles with Chess through the years. It’s possible he never even knew of the Marriot/Lane version, given, as you rightly point out, its curious lack of exposure on rock radio over here. I think that’s probably right. Between Zep and Chess, there’s only so much time one has to devote to defending intellectual property. Still, I’m personally glad that Dixon got a payout. And the traditions were passed along to evolve the music, which is of wider importance, I think. Nice. Here is an article I wrote on the genesis of the song. Cheers for the link, Morgan. I’d actually forgotten about that piece of yours. And nice interjections from a troll too.